A supporter requested Follower. She’s from a bunch of Kid Icarus and Smash Bros games. I was a Sega Kid growing up and then went to playstation and then PC. I don’t know anything about her beyond looking her up online. The requester and I decided she would be a mage. She dabbles in just about all forms of magic except illusion. She uses a shield and a staff and does that. I like to keep things lore friendly when I can, but I’m not on top of the lore enough to make her fit. I know a tiny bit about the tribunal and “god kings” or something. But I’m not gonna try to twist the lore like that because that sounds like homework. 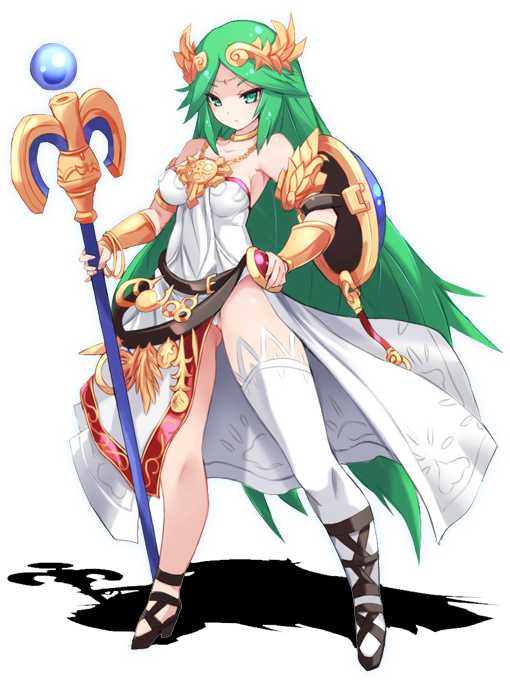 Palutena is a powerful mage. She has been mistaken for a Goddess a few times in her life. She decided to move to Skyrim to live as a normal person.